Check out all our range of pastel leotards for dance competition. Mademoiselle Danse selected for you the prettiest outfit among the biggest specialized brands. Several options are available in the pastel leotards category, to best meet your expectations. Do not hesitate anymore, it’s here that you will find the ideal leotard to participate to your competition, in group or in solo. 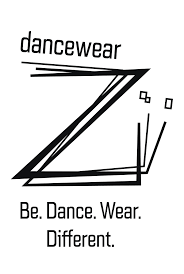 Subscribe you right now on the website to receive all our offers by email and order your dance leotard in a few clicks. You can contact us at 09 54 61 48 85 or by email contact@mademoiselledanse.com, we will be happy to give you our advices ! Dance leotard wide braces.V-neckline on the front and plunging in the back.Details in volute patterns.Entirely lined in front.Microfiber. Mademoiselle Danse likes: the volute patterns and its declination of colors!